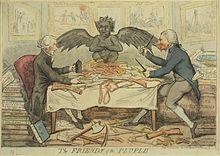 The Lunar Society of Birmingham was a dinner club and informal learned society of prominent figures in the Midlands Enlightenment, including industrialists, natural philosophers and intellectuals, who met regularly between 1765 and 1813 in Birmingham, England. At first called the Lunar Circle, "Lunar Society" became the formal name by 1775. The name arose because the society would meet during the full moon, as the extra light made the journey home easier and safer in the absence of street lighting. The members cheerfully referred to themselves as "lunaticks", a pun on lunatics. Venues included Erasmus Darwin's home in Lichfield, Matthew Boulton's home, Soho House, Bowbridge House in Derbyshire, and Great Barr Hall. James Keir FRS was a Scottish chemist, geologist, industrialist, and inventor, and an important member of the Lunar Society of Birmingham. The Priestley Riots took place from 14 July to 17 July 1791 in Birmingham, England; the rioters' main targets were religious dissenters, most notably the politically and theologically controversial Joseph Priestley. Both local and national issues stirred the passions of the rioters, from disagreements over public library book purchases, to controversies over Dissenters' attempts to gain full civil rights and their support of the French Revolution. Joseph Priestley (1733–1804) was a British natural philosopher, [[Rf glish Dissenters|Dissenting]] clergyman, political theorist, theologian, and educator. He is best known for his discovery, simultaneously with Antoine Lavoisier, of oxygen gas. The Joseph Priestley House was the American home of 18th-century British theologian, Dissenting clergyman, natural philosopher, educator, and political theorist Joseph Priestley (1733–1804) from 1798 until his death. Located in Northumberland, Pennsylvania, the house, which was designed by Priestley's wife Mary, is Georgian with Federalist accents. The Pennsylvania Historical and Museum Commission (PHMC) operated it as a museum dedicated to Joseph Priestley from 1970 to August 2009, when it closed due to low visitation and budget cuts. The house reopened in October 2009, still owned by the PHMC but operated by the Friends of Joseph Priestley House (FJPH). 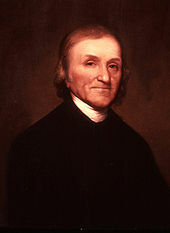 Joseph Priestley was a British natural philosopher, Dissenting clergyman, political theorist, and theologian. While his achievements in all of these areas are renowned, he was also dedicated to improving education in Britain; he did this on an individual level and through his support of the Dissenting academies. His grammar textbook was innovative and highly influential. More importantly, though, Priestley introduced a liberal arts curriculum at Warrington Academy, arguing that a practical education would be more useful to students than a classical one. He was also the first to advocate the study and teaching of modern history, an interest driven by his belief that humanity was improving and could bring about Christ's Millennium. Joseph Priestley was a British natural philosopher, political theorist, clergyman, theologian, and educator. He was one of the most influential Dissenters of the late 18th-century. The Rudiments of English Grammar (1761) was a popular English grammar textbook written by the 18th-century British polymath Joseph Priestley. The Institutes of Natural and Revealed Religion, written by 18th-century English Dissenting minister and polymath Joseph Priestley, is a three-volume work designed for religious education published by Joseph Johnson between 1772 and 1774. Its central argument is that revelation and natural law must coincide. In 1765, 18th-century British polymath Joseph Priestley published A Chart of Biography and its accompanying prose description as a supplement to his Lectures on History and General Policy. Priestley believed that the chart and A New Chart of History (1769) would allow students to "trace out distinctly the dependence of events to distribute them into such periods and divisions as shall lay the whole claim of past transactions in a just and orderly manner." In 1769, 18th-century British polymath Joseph Priestley published A New Chart of History and its prose explanation as a supplement to his Lectures on History and General Policy. Together with his Chart of Biography (1765), which he dedicated to his friend Benjamin Franklin), Priestley believed these charts would allow students to "trace out distinctly the dependence of events to distribute them into such periods and divisions as shall lay the whole claim of past transactions in a just and orderly manner." Essay on the First Principles of Government (1768) is an early work of modern liberal political theory by 18th-century British polymath Joseph Priestley. A History of the Corruptions of Christianity, published by Joseph Johnson in 1782, was the fourth part of 18th-century Dissenting minister Joseph Priestley's Institutes of Natural and Revealed Religion (1772–74). Pneumatic chemistry is a term most-closely identified with an area of scientific research of the seventeenth, eighteenth, and early nineteenth centuries. 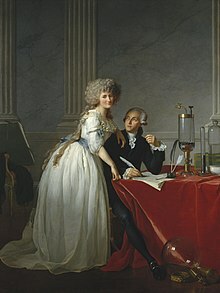 Important goals of this work were an understanding of the physical properties of gases and how they relate to chemical reactions and, ultimately, the composition of matter. The History and Present State of Electricity (1767), by eighteenth-century British polymath Joseph Priestley, is a survey of the study of electricity up until 1766 as well as a description of experiments by Priestley himself. Experiments and Observations on Different Kinds of Air (1774–86) is a six-volume work published by 18th-century British polymath Joseph Priestley which reports a series of his experiments on "airs" or gases, most notably his discovery of oxygen gas.